Do you ever take a stroll down memory lane? Do you remember the days before iTunes? One of the things I hated about those days was buying records but only liking one or two of the songs on the album. That was why I was so excited when iTunes came along. I could pay for the songs I wanted. I didn’t have to pay for something I didn’t want or need. I wondered if you as TPT shoppers ever feel the same way? Do you ever purchase some of the larger packets on TPT because you want one of the centers, but you don’t need the other activities? I thought I would try something new. I guess you could call it the iActivity approach. 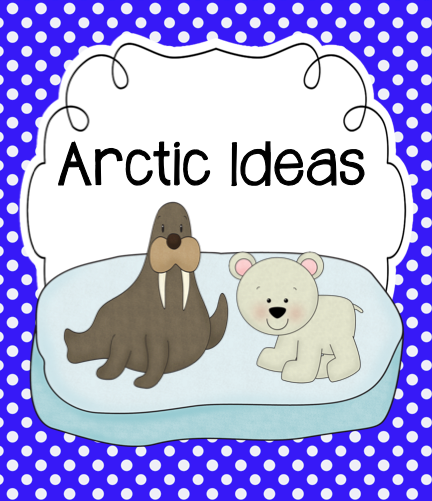 This week I made several different Arctic-themed activities. I have uploaded them individually to my TPT store in case there is just one of them that you need. I also have bundled some of them together so you can save money. Packet includes: 60 word cards for making compound words, center sign, and 2 extension assignments. Packet includes: 3 assignments, 9 extension cards, 22 word cards, writing paper, center sign, and 8 group signs. Packet includes: 5 pie organizers, 4 charts, center sign, and writing paper. Packet includes: center sign, 2 game boards, and 66 game cards with addition facts. Packet includes: center sign, 2 game boards, and 66 game cards with subtraction facts. Save money by buying the mega pack. The mini-reader below is free for a short time!